Hey, Sarasota! Who here can get on board with a gals only organization? (We’re not just talking about a program where girls sit around and kill time.) We’re talking about Girls, Incorporation: A life-changing company that equips females to overcome serious barriers. A place that nourishes young women to grow up strong, smart and bold. Girls Inc. is nation-wide, and Sarasota is home to a special branch that focuses on the development of kids from K-8th grade. How? By offering after school and summer camp education beyond the traditional realm of teaching; by exposing young ladies to entrepreneurship, technology, finances, engineering and science. One rather unique program Girls Inc. has designed is called MicroSociety®. In this program, “students build and run a miniature society within their afterschool program.” By using real world experiences that they’ve learned in the classroom, they receive a job title or community role and get to work. All citizens are able to earn money, invest, and even pay everything from tuition to rent. Girls Inc. has an even greater overall vision than that, though. They’re especially dedicated to impacting the lives of each individual. 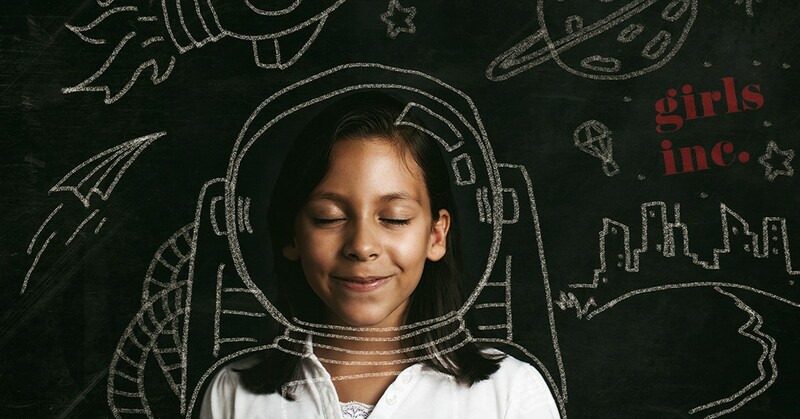 They teach girls to value themselves, find their strengths, and navigate through challenges. It’s an all around pro-girl environment, breaking away at self-doubt, and social and economic impediments with the help of female mentors. We could all benefit from positive role models like that. Girls have the right to be themselves and to resist gender stereotypes. Interested in becoming a volunteer, donating or learning more? Join Girls, Inc. on Friday, April 20th at 10:30 AM for their Annual Celebration Luncheon honoring the strong women leaders in our community. Or, visit their website here. Who was Mark Wandall? If you asked anyone who knew him well, they’d say he was compassionate, intelligent and charismatic. Above all though, he was a humanitarian dedicated to his family, friends and children. And though he was faced with a tragic passing, his wife made sure his kindheartedness for others lived on. 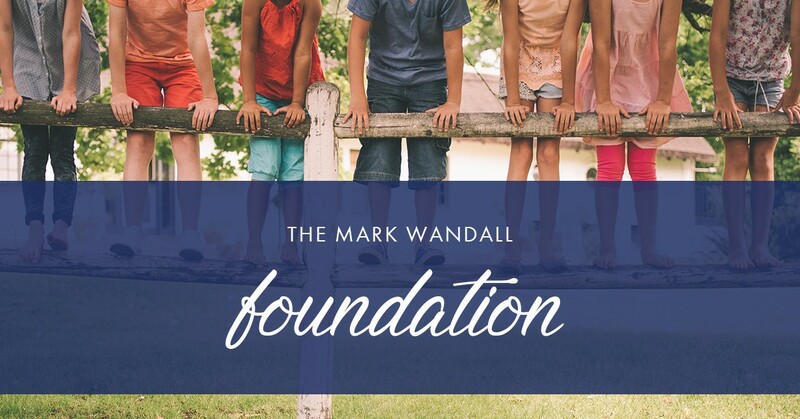 With his love for children in mind, she began The Mark Wandall Foundation: A 501(c)(3) dedicated to supporting grieving children who have lost a parent, sibling or guardian. “We trust that we can transform a child’s broken spirit into a beautiful spark that will light the way to a happy, healthy and optimistic future,” says the foundation. Through their partnerships, local events, and unlimited amount of encouragement to those in need, they’ve been helping children make it through. One important partnership that impacts the kids is Comfort Zone Camp. This annual camp brings together children who are experiencing similar losses. These grief summits aid to work with the children in tactful ways, while also allowing for fun in a positive environment. Other partnerships include Children First of Sarasota, a funding program for facilitators to work with 3 and 4 year olds who experienced loss or separation; and College Scholarship Program, a resource aiding in financial help to kids applying for college. Want to learn more about this powerful non-profit? Visit their website at themarkwandallfoundation.org. Can you think of anything better than helping an animal in need? We can’t. Which is why we were over the moon when we found out the Humane Society of Sarasota County needed help revitalizing their website. 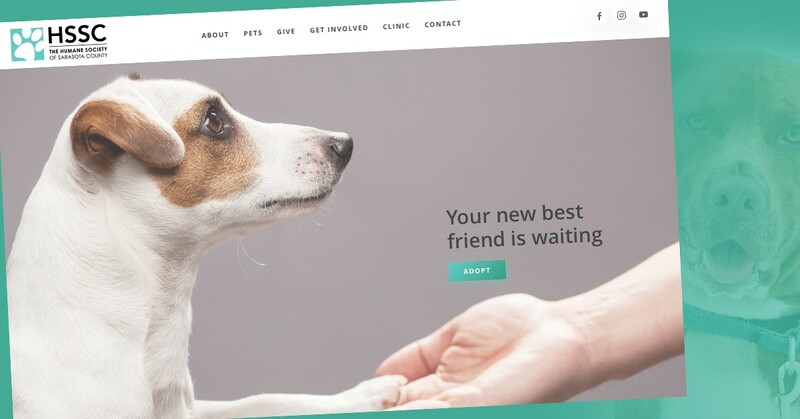 What better way to connect a remarkable organization with potential pet parents or others with a passion for helping pets? Incorporated in 1952 as Sarasota’s first nonprofit animal welfare organization, the Humane Society of Sarasota County has grown to be the area’s premier no-kill shelter. A home is found for every adoptable pet in its care. Their mission focuses on saving the lives of cats and dogs and enriching human lives along the way. HSSC is a private, nonprofit 501(c)(3) organization. They rely solely on contributions from individuals, organizations and corporations. HSSC receives no state or federal funding, nor are they funded by any national humane organization. HSSC is the only animal welfare organization in Sarasota to earn the coveted 4-Star Rating from Charity Navigator, America’s premier independent charity evaluator. Take a look at their updated website here. And don’t be surprised if you find that your new best friend is there waiting for you.